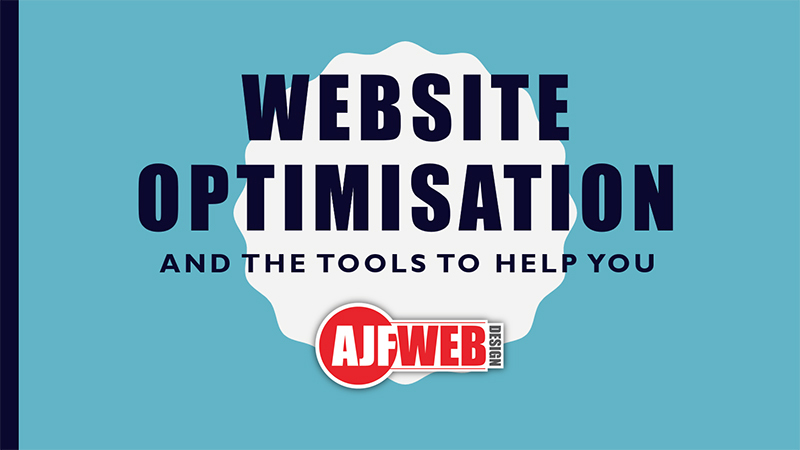 This isn’t going to be a full comprehensive list of the do’s and don’ts of search engine optimisation, or SEO, but I am going to talk (or write) about some of the website optimisation I carry out and some of the tools available from Google, Microsoft and other vendors that are available to help you. If nothing else you will get an idea of what goes into making your website a bit faster and more SEO friendly. Lots of people focus on SEO to improve their page ranking, that is after all what SEO is kind of about, but, how many consider their users and the experience they have using their site? I mean it is great to be listed highly on search engines like Google and Bing but if users find your site confusing, slow or unusable with poor content you won’t build the userbase you are looking for and potential customers may never return to your site, so it’s important to think of the user and their experience because optimising your site for a better user experience will in turn make for better search engine results. The design of a website is important, your users should be able to quickly learn how to use your site with little to no instruction. They should be able to easily navigate from page to page, find call to action buttons such as ADD TO BASKET or CONTACT US NOW without having to hunt for them. Overall a user should ,in my opinion, have an enjoyable experience on your website, there should be a reason for them to return, whether that is because your content is excellent and interesting to them, or because you are providing them with a way to purchase items that they desire, so make it easy for them to access that content and buy those items. 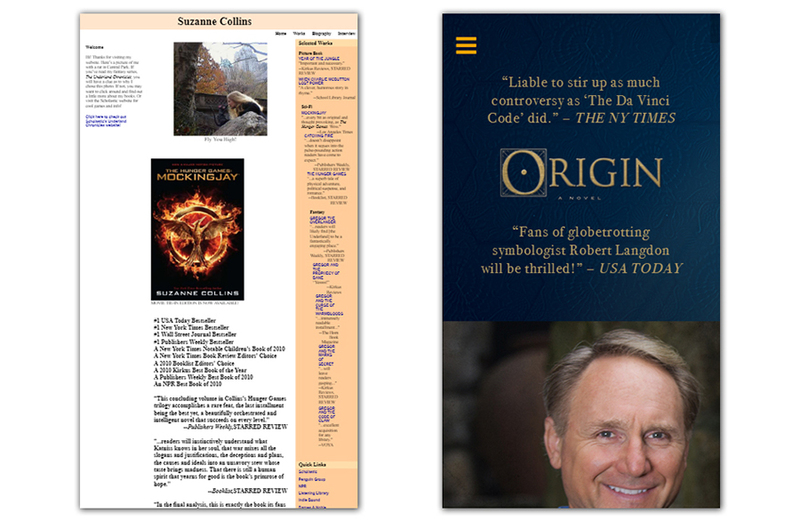 Here are two author websites, the first is Suzanne Collins, author of many books including the hunger games series. 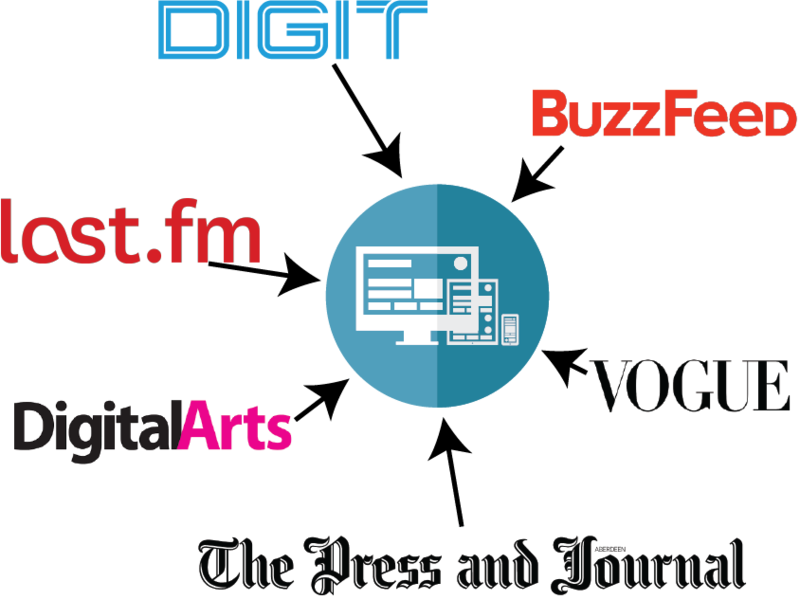 Her website has easy to find links at the top right to navigate some areas of her site but she misses out on opportunities to pull the user in through interactivity. When you click on book covers nothing happens, there are links to places that sell her book, but when you click them they take you to the main website rather than the page with her book on it. The second example is Dan Brown’s website, author of many books including the Davinci Code. This site is easy to navigate, very interactive and engaging and links to purchase his books take to his books. 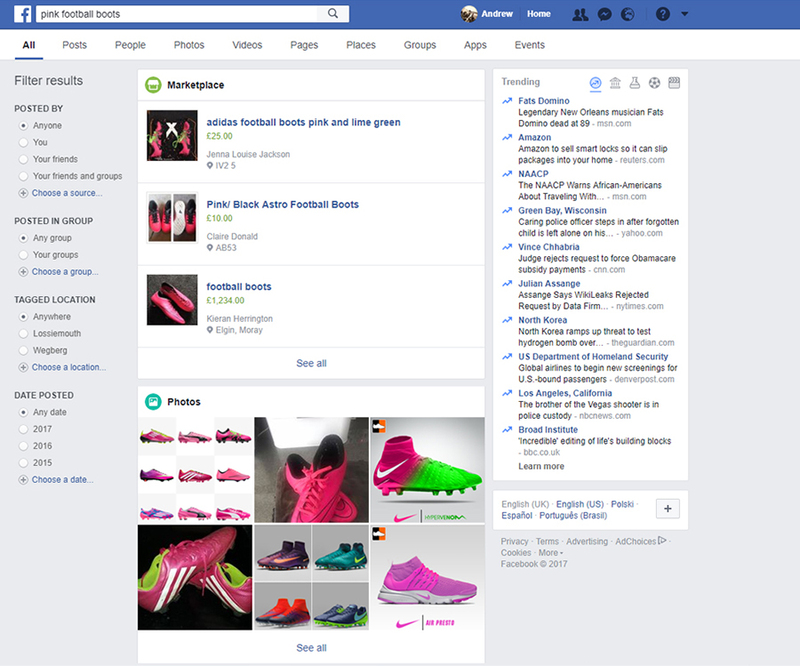 You can find everything you want on the site relatively easily. Now the look of a website is down to personal preference, some people may like a more minimalist look while other enjoy having content stuffed into all areas, but one of the big differences between these two websites is that Suzzane’s site is not mobile friendly… although I don’t think she really depends on her website to make her money is probably more focused on writing her next record breaking novel. Your website needs to be mobile compatible, whether that’s achieved with a responsive website or an adaptive website you should have one… although google favours RWD over AWD. Responsive web design uses one design across all devices, that design is told to resize and move elements to different areas of the viewing area depending on the screen size to make the website more user friendly on different devices. 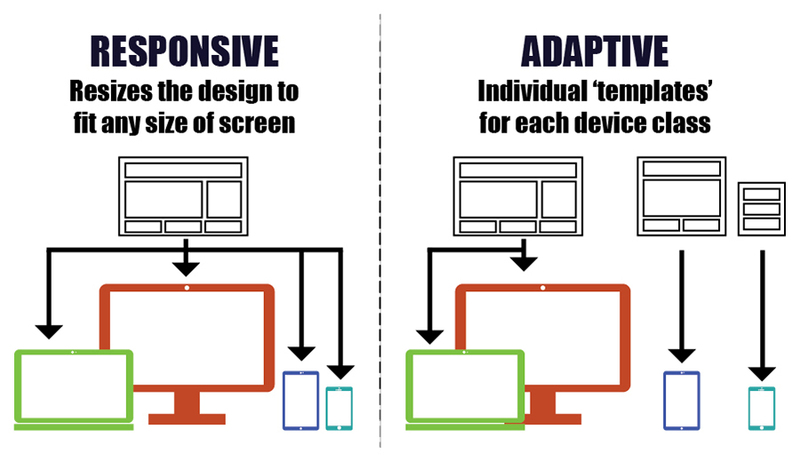 Adaptive web design has the same end goal but uses multiple designs, one for each screen size. The website detects which device size you are using and delivers the correct design to your device. your site should load in a few seconds, if your site is taking 10, 15, 20+ seconds to load this could be a problem as users have very, VERY short attention spans. To achieve a fast loading site you need to look at the amount of content on your page and slim down the heavy items. I don’t mean remove content, but streamline it. For example images, if you have images on you site, which I’m sure you do, the images should be the correct size, there is no reason in putting a huge picture onto a web page when it is only going to display in a small size. I always ensure that images are between 72dpi and 96dpi for use on screen as there is little point in going above this, (unless your website is in the business of delivering huge images then you’ll know what size you want them to be). 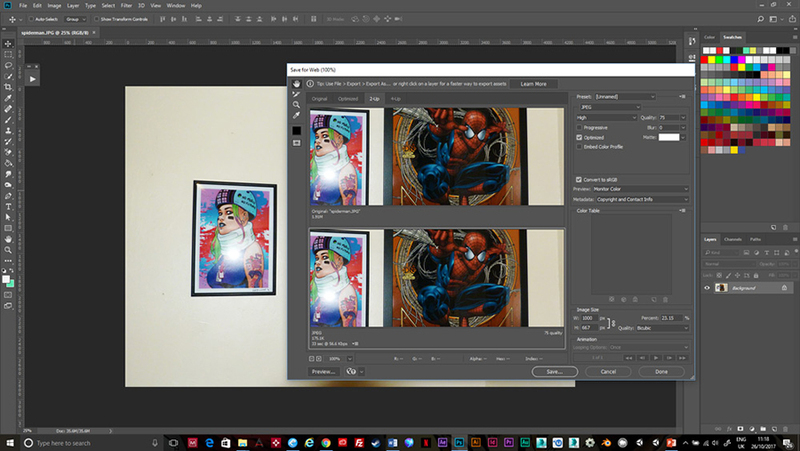 I also aim to have images on a web page below 300kb in size, this can be easily achieved using Photoshop, which is paid for, or Gimp, which is free. Both of these pieces of software have a SAVE FOR WEB option that lets you very quickly optimise an image. Have a look at both of these images. You’ll see little to no difference in the quality, yet… the one on the left has a file size of 6.3 MB the one on the right is 175.1kb that a saving of over 6MB! I created two pages on this website to test the load speeds, the pages are SPIDERMAN1 and SPIDERMAN2. You can see here the difference in page loading time, the large image takes 3.9 seconds to load compared to 2.3 seconds of the optimised image, that’s on a 50-70mb fibre optic broadband connection. For a 3g connection you’re looking at 9 seconds for the original image and 6 seconds for the optimised one. These numbers might not seem huge but that is just one image, imagine if you had half a dozen oversized images dragging your site down… just imagine! The first time a web page is visited the users computer or mobile device requests that website and the server will deliver the code, the layout, the styles, the swooshes and build the page, it then delivers an HTML page to your browser so you can watch your favourite super hero short film, do some shopping or catch up on what’s happening in the world of garden sheds (that’s a real thing and the site is quite interesting, see for yourself at www.shedblog.co.uk. If caching is turned on the server already has a ‘remembered’ version of the page ready and sends it straight away, so that every other visitor has a faster experience. If you add new content to your site then the server would, if configured correctly, flush away the old cached versions and build a new one with the new content, or you can manually clear the cache. Caching is a great way of speeding up all websites, but can be particularly helpful if you run a database driven, dynamic website that requires the server to deliver lots of content from different areas, such as a WordPress website. There are lots of plugins, I have found the ‘WP Fastest Cache’ plug-in to be really good, (always do your due diligence before installing plug-ins as version changes are frequent. 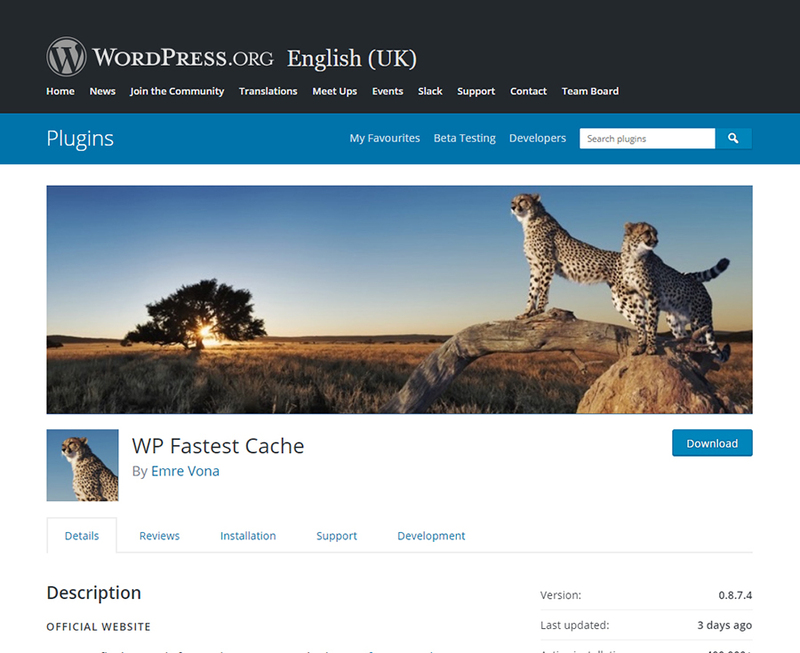 ), it allows you to easily enable caching options in a WordPress site and the speed difference is really, really noticeable. Google actually rewards websites with an SSL installed over a non SSL site. An SSL is a Secure Socket Layer, standard security technology that establishes an encrypted link between your web browser and the server delivering the web app. It ensures that all data passed between you and the server remains private. Check the web address to see if a site has an SSL, the domain will start HTTPS rather than HTTP, and having that S at the end will help your SEO efforts. You can purchase an SSL certificate from a number of vendors, some hosting providers supply them with your hosting. Having an SSL installed doesn’t just help with SEO but gives users a better, safer experience on your site, it lets people know that their machine is talking to the server it is supposed to be talking to, it prevents tampering from third parties stopping man-in-the-middle attacks and encrypts all communications, including url’s, protecting credit card information and messages sent, it gives your user a more secure site, and gives you a better reputation. This tells the search engine the URL of the page, the priority of this page over others on the website and how often the content of the page changes. You create one of these for each page of your site, which can be time consuming so you can use something like xml-sitemaps.com to create the sitemap in a few seconds/minutes depending on the size of your site. You then save that as sitemap.xml and upload it to the public_html folder on your server. Some systems have site map generators built in, like the eommerce platform Opencart, which generates a feed of products, or Drupal which has an xml-sitemap modul, WordPress has multiple plug-ins available, and I would assume all other CMS systems have something in place to take care of this for you. Having other websites link to your articles or page content is great for SEO, but only when those backlinks come from reputable sources. Diversity is good too, so getting a link from different types of reputable, established websites helps. How do you get good backlinks? The best way to get good quality links to your site from other reputable sites is to create great content. If you can provide content that others find interesting, entertaining or educational they may think it’s going to be useful to their audience, creating a linkback to you from an article or page. The best for SEO? Great content, because content is king! Having good, readable, relevant content is going to be the best thing you can do for your website. Long gone are the days of keyword stuffing, content and articles should read in a natural language. You want people who are interested in what you are doing to visit your site and the way to get them is to give them a reason to visit, in depth examination of one topic in easy-to-understand language will always win over articles or information pages that are stuffed full of unreadable keyword dense rubbish. It’s interesting how advanced the search functions are becoming within social media sites, but that’s for another article. You can check your SEO scores and get some pointers on what needs to be improved using free and paid for tools. I use a few different tools for SEO analysis one of which is gtmetrix.com. By simply typing in your domain name you can get a rundown of the page telling you what is and isn’t working, with tips on what you need to do to fix any issues. These are just guides to help you improve your website performance and can take a bit of time, but they are definitely worth doing. If you find it overwhelming there are people you can hire to help, (contact me), but at least this way you have an idea of some of the things involved in improving site performance. There are lots of tools available from Google and Bing, most of them free, all of them helpful. Here’s a bit of info on a few of them. This free tool allows you to check your site speed, compare the results to the industry standards and get a full report on what to do to improve your site. And a lot more, and all without revealing any personally identifiable information about them. The above list does not even start to scratch the surface of what you can do with Google analytics, but you can use all of the information in analytics to work on page content and social media strategies, work out what is and isn’t working on your site and get your site working better for you. Google’s webmaster tools allows you to submit your site to Googles search engine for crawling and indexing, it checks for errors on your site, looks for security issues, allows you to highlight different types of content across your pages, submit sitemaps, view search traffic, see how people found your site, what keywords they were searching, see all the websites that link to you… and so much more…. Much like Google’s webmaster tools Bing offers something similar, incorporating SEO tools and analytics all in one place. I personally use Both Google and Bing tools, submitting to both ensures you are making the most of all the largest search engines as after Google Bing is, I believe, the second largest search provider. Bing is also responsible for serving Yahoo’s results, so you shouldn’t write them off as many Microsoft products, unjustly, are. Annnnnnd that’s it, if you have any questions I’ll try to answer them, but if you take nothing else away from this article, just remember… CONTENT IS KING!